Sales of frozen yogurt are at an all time high. According to MySupermarket.com, frozen yogurt sales are going up, while ice cream sales are declining. One reason appears to be that consumers see yogurt as a healthier, lower fat alternative to ice cream. This isn’t necessarily always the case, as many yogurt desserts can have as much or even more sugar than ice cream. For this reason I've never been too interested in frozen yogurts. 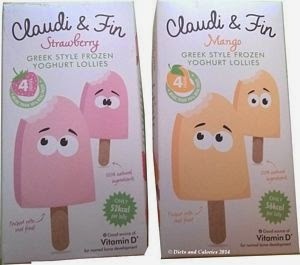 However, after reading about new ‘healthy’ Greek-style yogurt ice lollies called Claudi & Fin with only 52 or 56 calories each, I had to try them out. 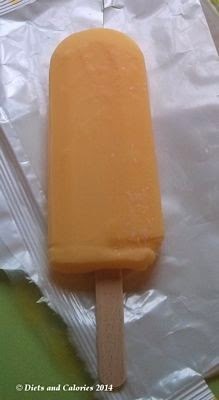 The Claudi & Fin ice lollies are available in two flavours: Mango or Strawberry. They were created by by two mums who entered a ‘Pitch up with Sainsbury’s' competition. They obviously went down well, as they won and they're now on sale in Sainsbury’s supermarkets. 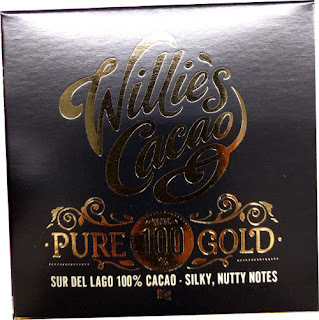 Boxes contain four lollies weighing 50g each. On the pack it says they contain 10% real fruit and 100% natural ingredients. They’re also a good source of Vitamin D and have live bio cultures inside. I liked the idea of a completely natural lolly. My family look forward to eating an ice lolly after their main meal, so I try searching out those with the lowest calories – i.e. Skinny Cow. The ingredients found in the Claudi & Fin frozen yogurt ice lollies are a lot better than many of the other frozen yogurt offerings around and are comparable with Lick frozen yoghurt. See below for exactly what’s in these Claudi & Fin lollies. The lollies themselves are quite solid when eaten straight out of the freezer which is handy for younger kids who tend to let them drip all over the place! They’re a plain, pale colour, either pale pink or pale orange depending on which you buy. As for the flavours, the mango is quite sweet with a mild fruity flavour and the strawberry (my favourite) tastes just like a strawberry milkshake. I was pleased that they didn’t taste like yogurt, mainly because my youngest refuses point blank to eat yogurt of any kind, much to my despair. She loves it in smoothies, although so far she's unaware that’s what she’s drinking. They have added sugar which is a shame as the mango puree should in itself be sweet enough. Each lolly has around 1.5 teaspoons of sugar, although some of that will be naturally occurring in the mango, yogurt and milk. Also added are thickeners. 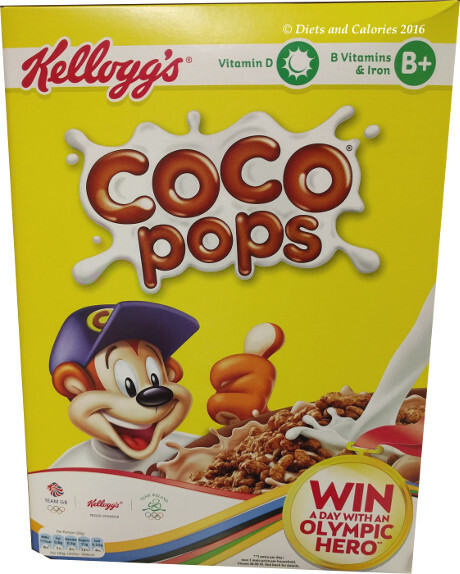 Nutrition Information per lolly (50g) Mango: 56 calories, 0.9g protein, 7.6g carbs, 6.8g sugars, 2.3g fat, 1.5g saturates, 0.3g fibre, 0.06g salt, Vitamin D 1.5 ug. 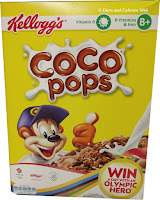 Nutrition Information per lolly (50g) Strawberry: 52 calories, 0.8g protein, 6.9g carbs, 6.4g sugars, 2.3g fat, 1.6g saturates, 0.2g fibre, 0.05g salt, Vitamin D 1.5 ug. Greek style yoghurt (45%), milk*, reconstituted whole milk (19%), mango puree (15%), water, sugar, concentrated lemon juice, natural flavouring, thickeners: guar gum, carob gum, pectins; vitamin D3. *Live bio cultures inside: lactobacillus, Streptococcus thermophillus. Greek Style Yoghurt* (45%) (Milk), Reconstituted Whole Milk (19%), Strawberry Puree (14%), Water, Sugar, Natural Flavouring, Concentrated Strawberry Juice, Concentrated Lemon Juice, Thickeners: Guar Gum, Carob Gum, Pectins, Vitamin D3, *Live bio cultures inside: Lactobacillus, Streptococcus Thermophillus.